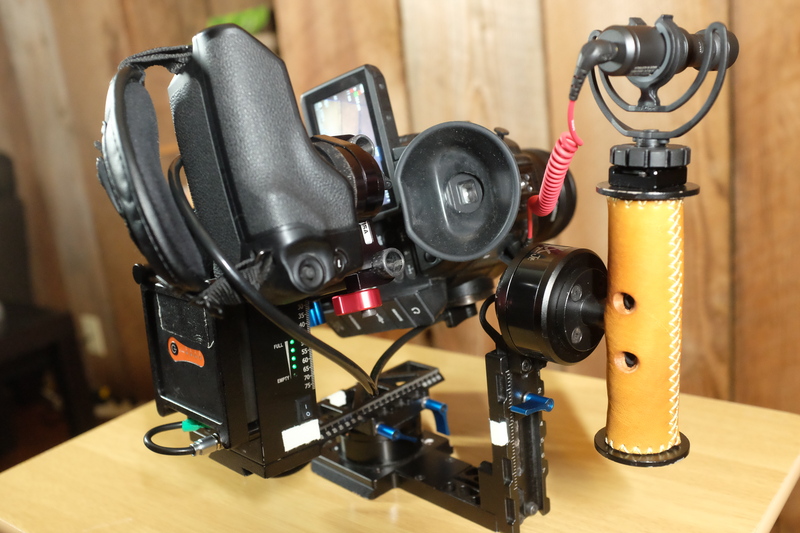 I’ve written about the amazing combination of the Letus Helix Jr. brushless gimbal with the Canon C100 before – both on this blog and also on Newsshooter.com. 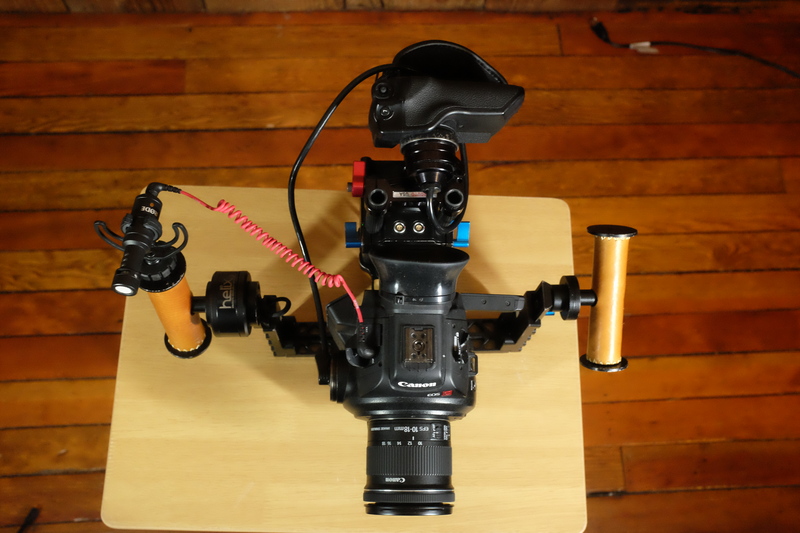 It continues to be a workhorse for me and I’ve used this simple rig on dozens of production trips around the country. 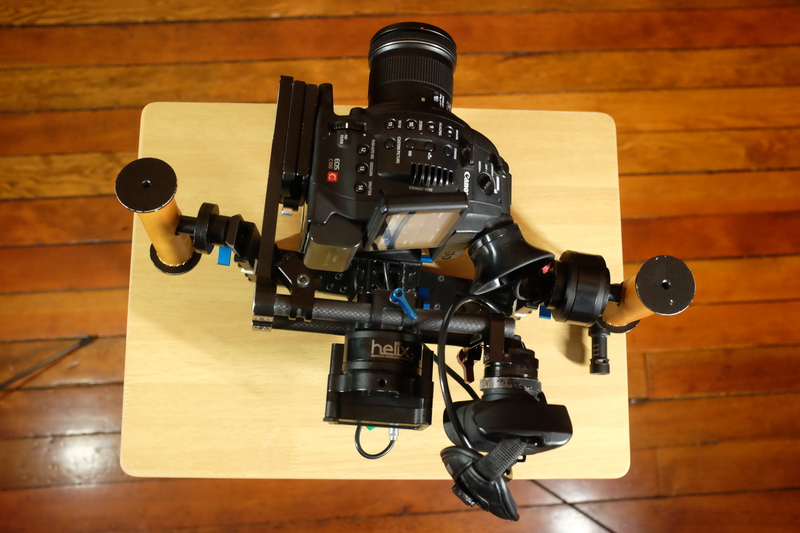 It’s a no brainer now that Letus has released an aluminum version at a huge discount to the original Helix Jr. Anyway, for those of you who have the C100 and Helix Jr. and want to fast forward the balancing and initial rigging, here are photos of my setup – all photos are clickable for larger resolutions. Your balancing may be different depending on your quick release plate, lens, battery, etc – but this may be a good starting point for you. 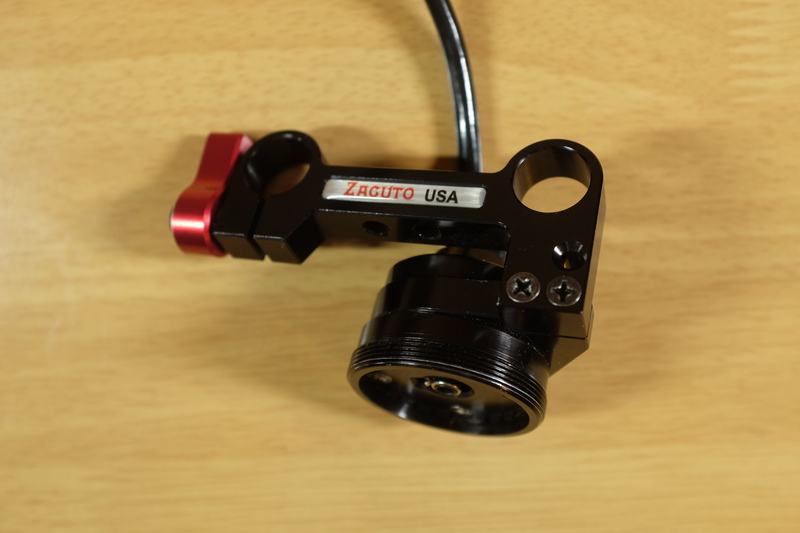 I use a Zacuto Grip Extender (modified, see below), as the counterweight and also because it’s so convenient to control exposure/WB without having to put down the Helix. 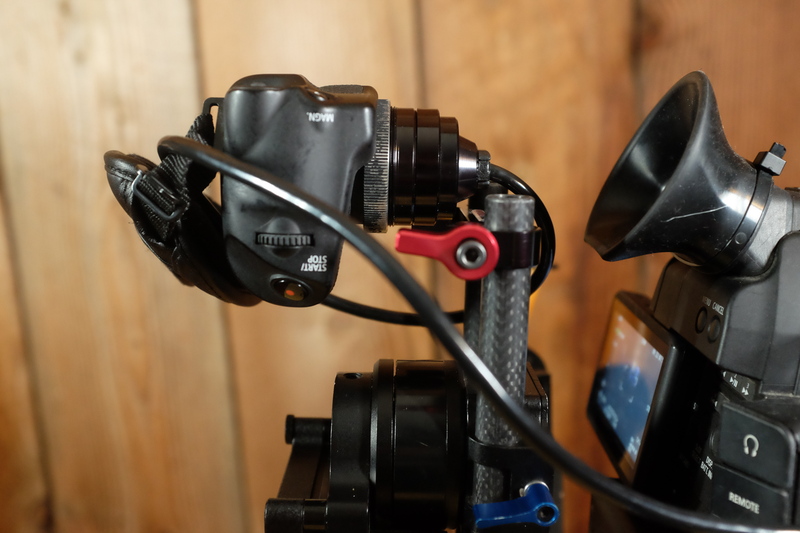 For scratch audio I connect a Rode VideoMic Pro on a cold shoe adapter on the right handle. 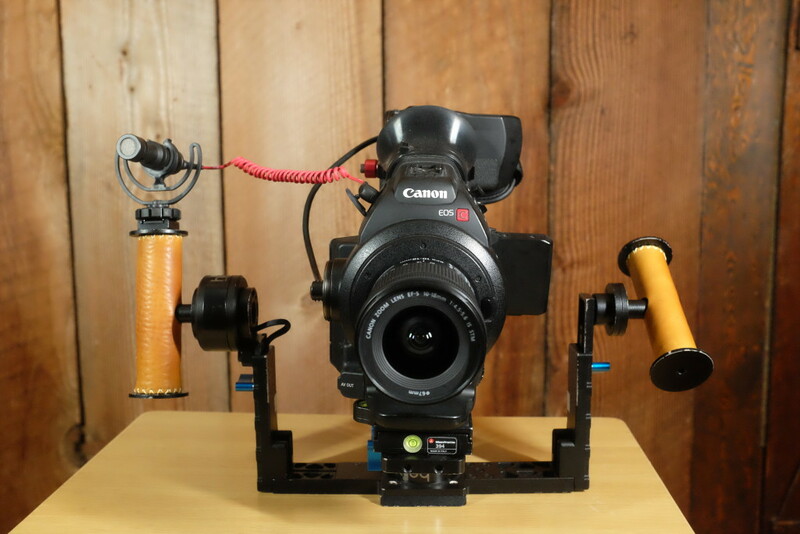 Please note: I’ve been using the Rode VideoMic Pro for all my C100/Helix shoots but just got a Rode VideoMicro and used it for these photos. Unfortunately it turns out the C100 isn’t compatible with the VideoMicro, so disregard that mic in these photos and plan to use a mic such as the VideoMic Pro. Thanks and sorry about the confusion! 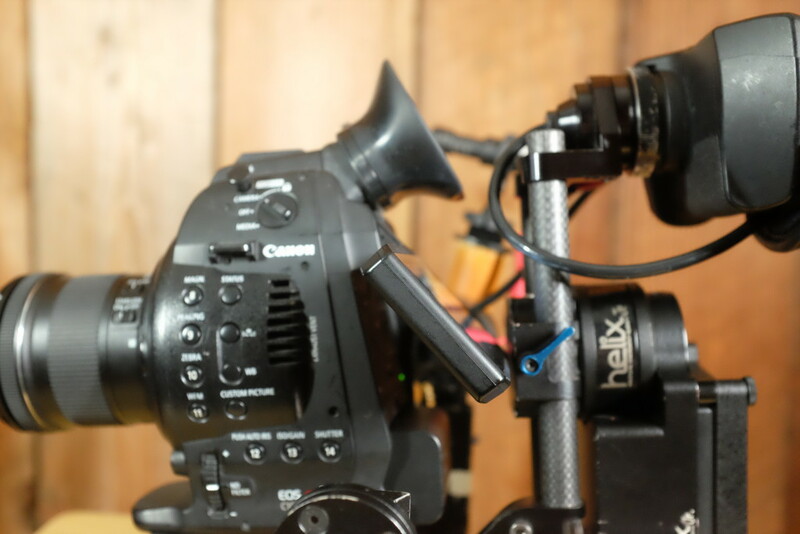 I use the C100’s screen to monitor (so an external monitor is not necessary), and I have autofocus on using both the Canon 10-18mm and the Canon 18-135mm lens. I like to use the bigger C100 battery, I keep my C-Cup eyecup on at all times, and I put a Manfrotto 394 Quick Release on the Helix camera plate. My PID settings are at the bottom of the post. Okay here goes. 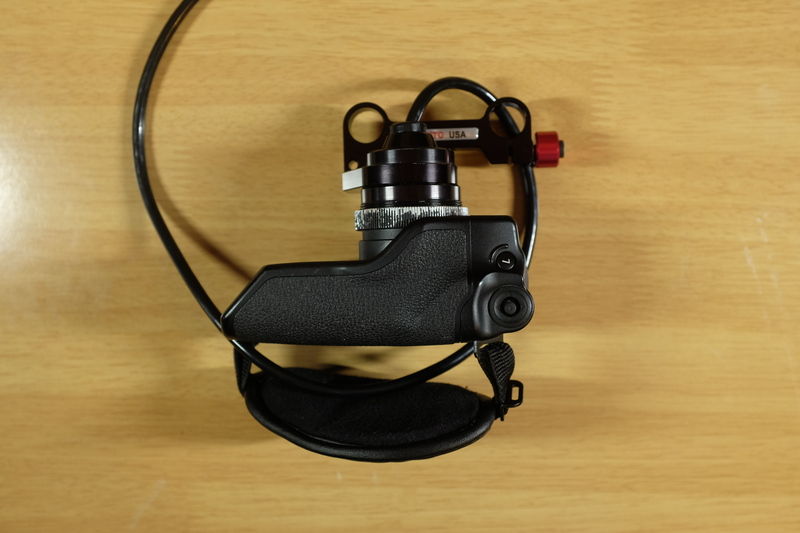 Briefcase mode is fully accessible with this setup, even using the C-Cup eyecup. 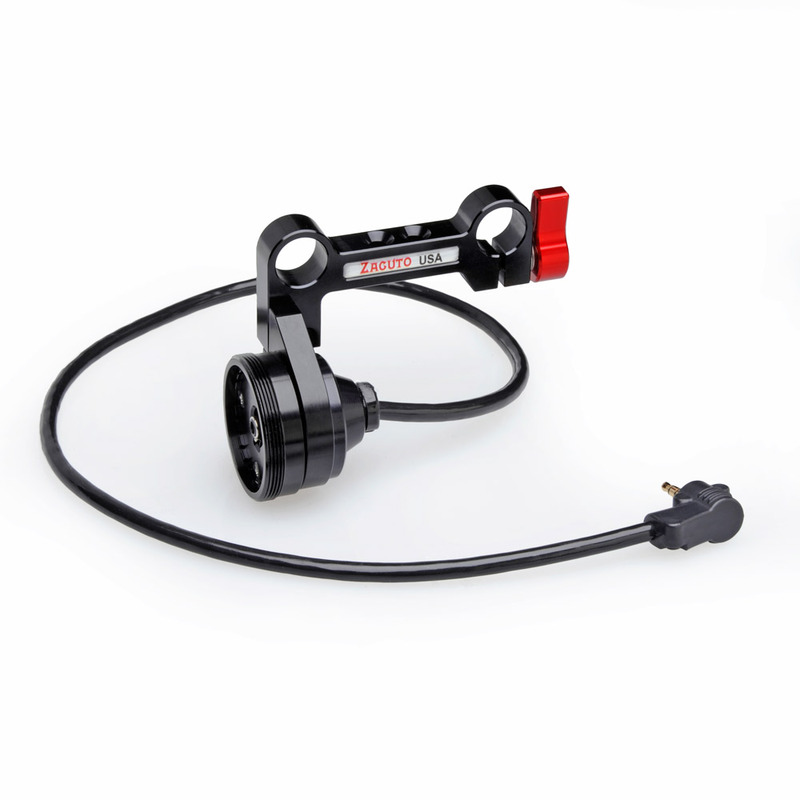 You have to modify the Zacuto Grip Extender slightly so it doesn’t hit the Helix as it rotates, and I’ll show how below. 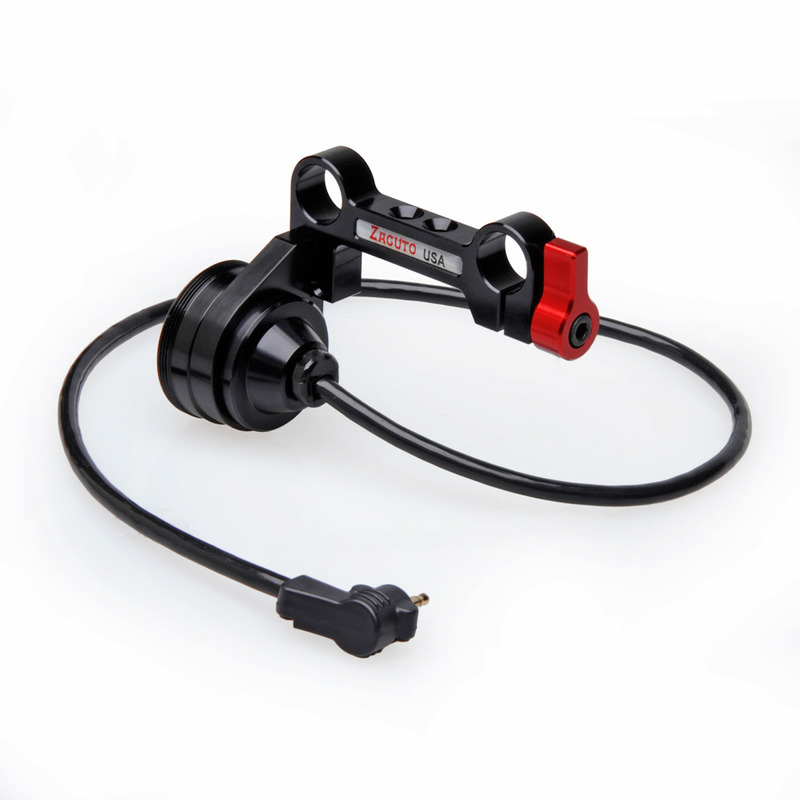 It helps to route the Zacuto Grip Extender cable through the Canon hand grip to keep everything nice and tidy. I put some white gaffer’s tape on all the balancing points, so that when I travel I can quickly assemble the Helix Jr without having to re-balance. Both handles have to be at the same handle level. 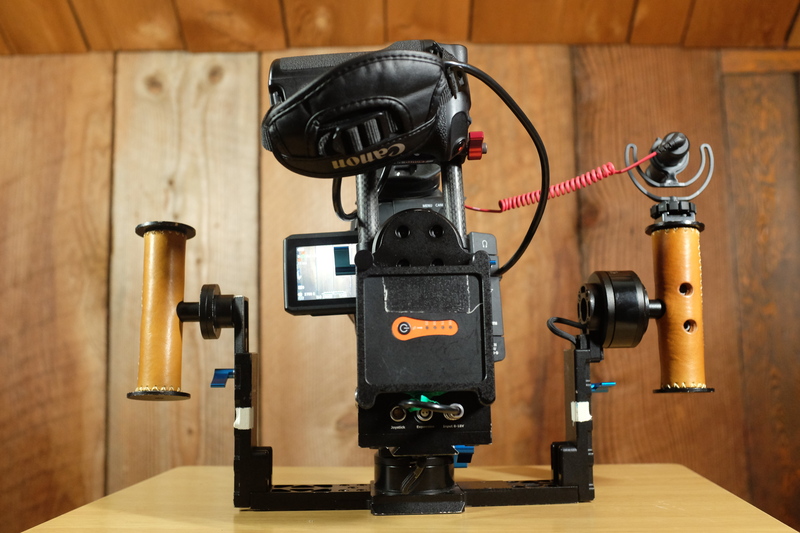 Even with the hand grip as a counterweight, I achieved a more perfect balance by using one of the Helix’s counterweight holders on the camera plate rod, but without putting any weight in it. It’s slight, but works. 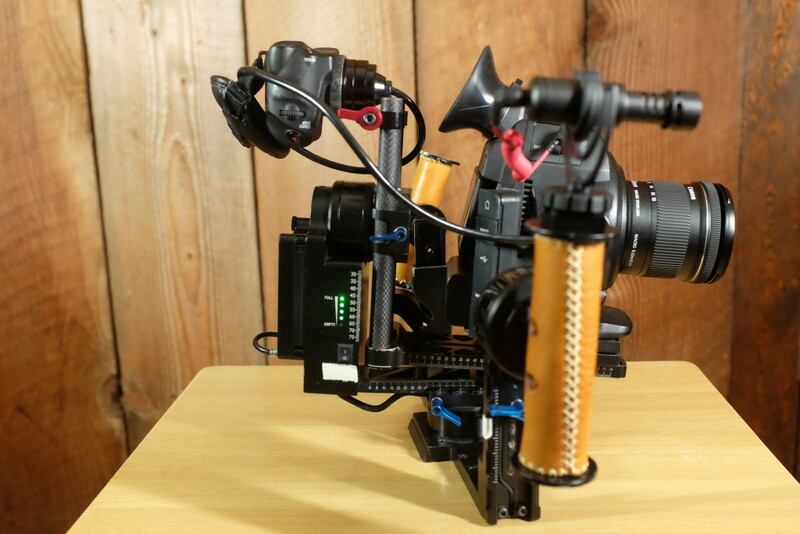 In my setup, I don’t use an external monitor, and instead rely on the C100’s LCD screen. 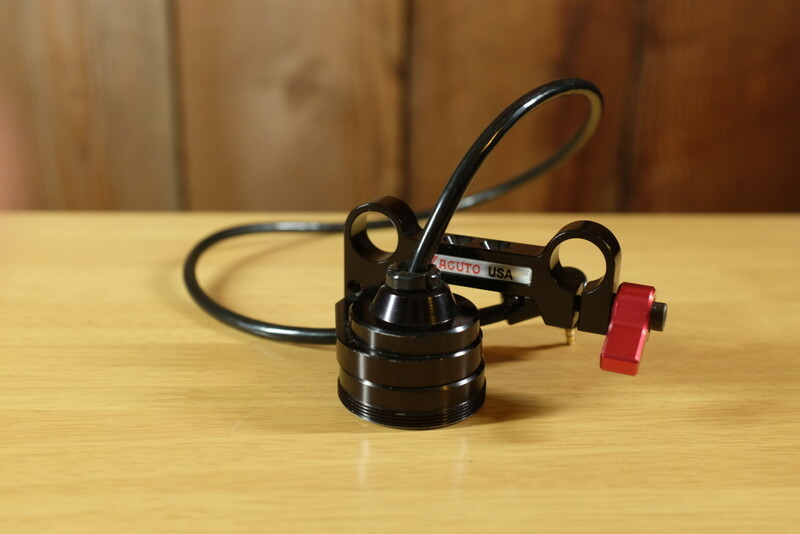 It’s good enough, especially since I can depend on the autofocus. 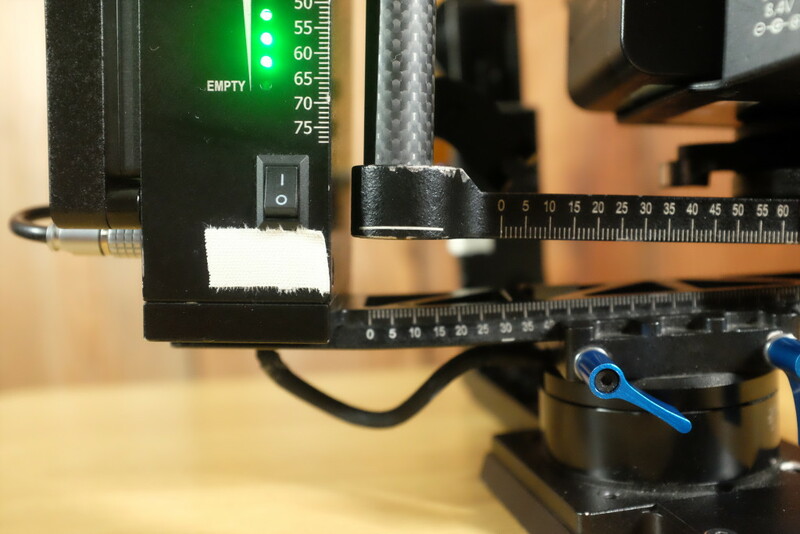 It is a tight fit, however, so I have to make sure the LCD is in the open position before placing it in the quick release. The most important part of this rig is the Zacuto Grip Extender, which allows you to use the C100 hand grip for quick exposure changes (and other settings), while also functioning as a counterweight. 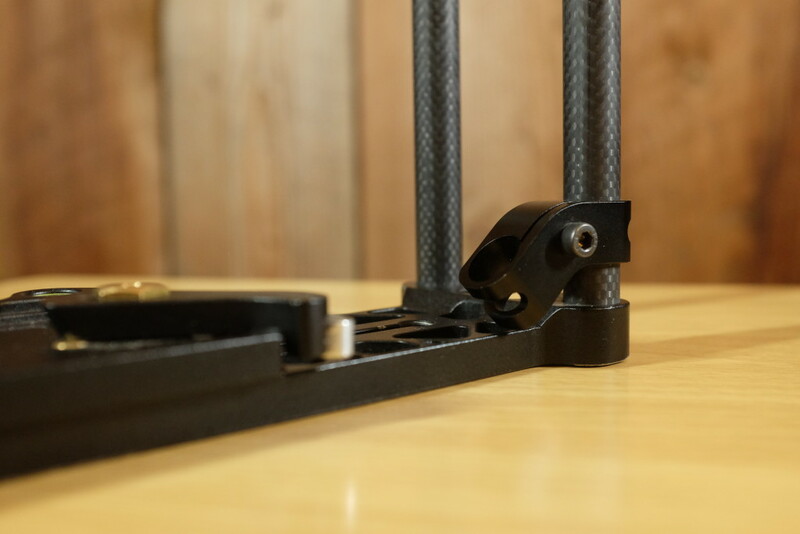 However, you have to unscrew the extender from the rod holder and rotate it 90 degrees. I hope these pics can explain how to do that. 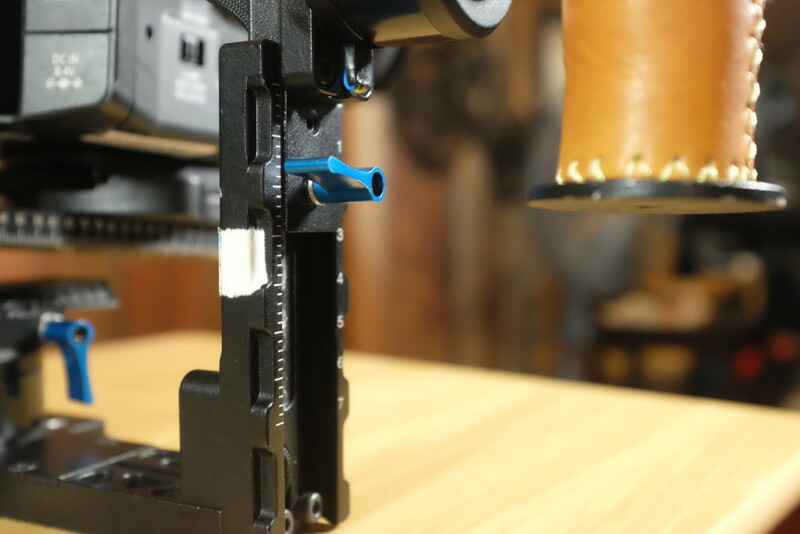 Here are the two screws that hold the extender to the rod holder. There are two positions you use, which you can see with the third thread that is unused here. 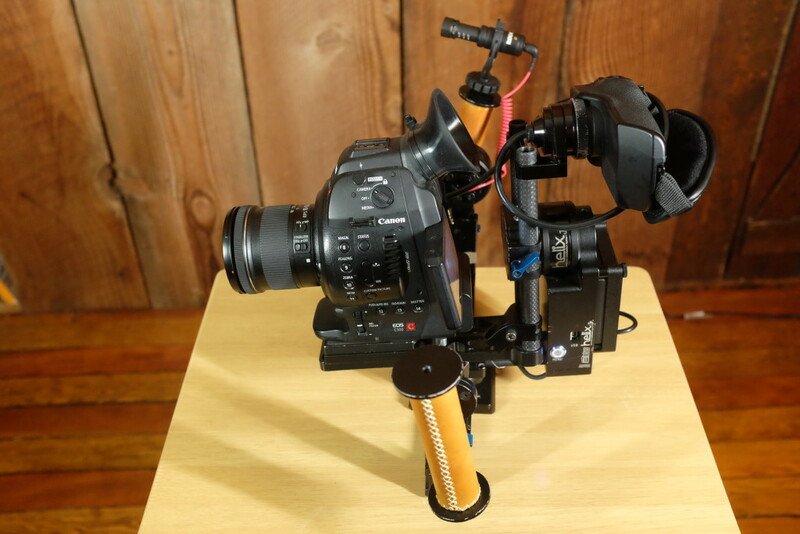 Out of the box, the grip extender comes rotated using the other position. 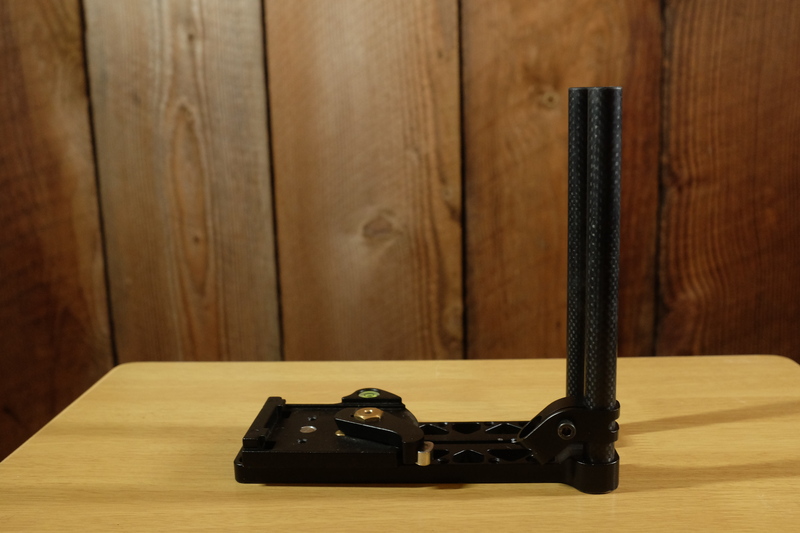 Here’s a picture of the grip extender as it ships, in its default position. And here it is rotated into the new position. 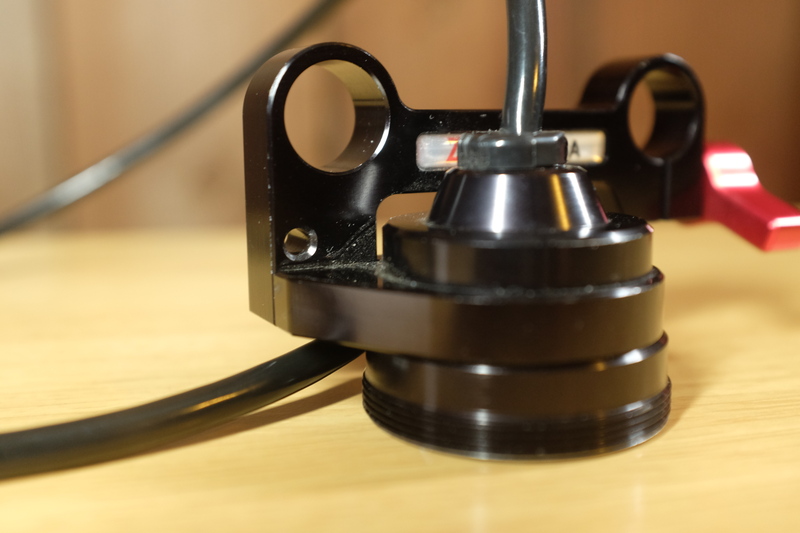 And finally, here are the PID settings I use on this setup. I turned up the power to 200 on each motor, and I slowed down the pan in the follow mode, so that it stays straight as I walk forward or backward. 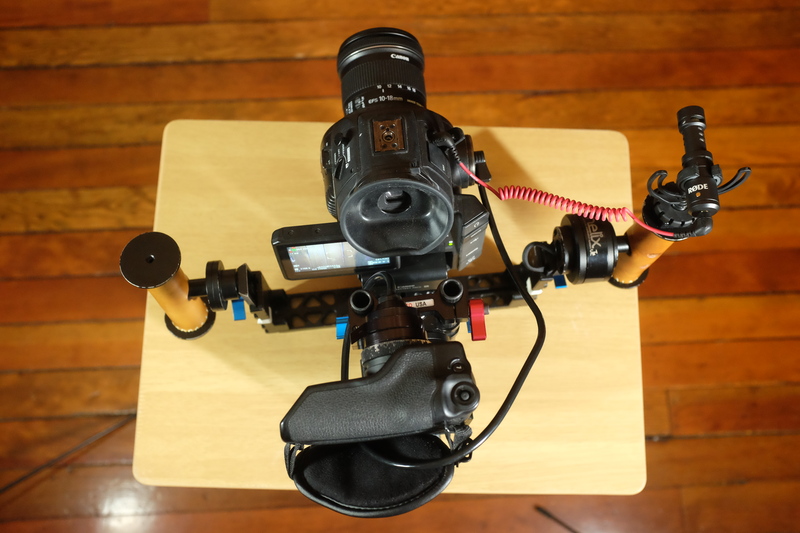 You can adjust the pan to be quicker to follow for certain kinds of shots. Hope that helps! Feel free to contact me if you have any questions about this setup.